August 1921 somewhere on the Russian-Mongolian border. A lonely warrior on horseback wanders through the endless steppe. He has lost most of his uniform and Mongolian talismans are swaying on his naked chest. It is the last ride of Ungern-Sternberg, the Mad Baron. His Mongolian soldiers will soon seize him and hand him over to the Red cavalry in pursuit of the small army that Ungern has lead from Mongolia into Soviet territory. 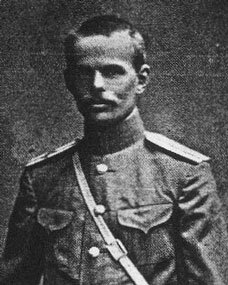 And so the legend grows – the exploits of Baron Roman von Ungern-Sternberg, the most notorious partner in crime of the Cossack warlord Grigori Semenov in the Siberian Far East during the Russian Civil War. In the autumn of 1914 Great-Britain, France and Russia have declared war on Turkey. In the spring of 1915 the Turkish government orders the mass deportation of the Armenians on its territory. The whole Armenian population is driven out of its homeland in eastern Anatolia and an awful number of Armenians is exterminated by Turkish zaptieh and Kurdish bands, while the survivors of these forced marches are left to their fate, without food or shelter in the Syrian desert. In the summer of 1915 the Assyrian tribes in the Hakkari mountains in SE Turkey come under the sword of Islamic Jihad. Mar Shimun, the patriarch of the Assyrian mountaineers, presides at a general meeting of the Assyrian chieftains. They decide to throw in their lot with the Allied nations against Turkey. Turkish troops and Kurdish irregulars invade the Assyrian homeland. The Assyrians retreat to the high mountains, where they make their last stand. Mar Shimun crosses the passes with a small party and reaches Persian territory that has been occupied by the Russian army. He tries to get support from the Russians and returns to his besieged people in Hakkari. The Russians send a small expeditionary force of 400 Cossacks to the Hakkari Mountains. The Cossacks advance towards Oramar, the stronghold of the Kurdish chieftain Soto. Agha Soto is a fierce enemy of the Assyrian mountaineers. He sacks their villages, steals their flocks, he abducts their women and murders the male villagers. The Russian Cossacks are unaware of this. Blinded by Soto’s oriental hospitality, they accept his guides to lead them through the mountain passes. In a deep gorge the Cossacks are ambushed. Soto’s clansmen and other Kurds attack them from all sides and they are slaughtered to the last man. The 18 Cossacks who have stayed behind in Soto’s home as his honoured guests are massacred as well. So much for this Russian attempt to relieve the Assyrians of Hakkari in the summer of 1915. The Assyrian mountaineers can only rely on themselves. They break through the enemy lines, they suffer heavy losses when they flee from Hakkari, but the greater part of them survives and most of them become refugees in the Russian occupied northwestern part of Persia. In this region west of Lake Urmia they are among other Christians, Assyrians of the plain, who have been living there for many centuries. Even before the arrival of the Assyrians from Hakkari the Assyrian inhabitants of the Urmia plain have endured terrible persecutions from their Muslim neighbours. During the first days of 1915 the Russian armed forces in control of the area suddenly retreat, leaving the Assyrian minority to its fate. Turkish troops occupy Urmia. Thousands of panic-stricken Assyrians of the Urmia region leave their homes and follow the trail of the Russian army, heading north towards the Caucasus. It is a horrendous exodus in midwinter, the weaker ones perish along the way. Those who have stayed behind hope to be spared in their villages or take refuge in the compounds of the British Anglican and the American Presbyterian Missions in Urmia town. 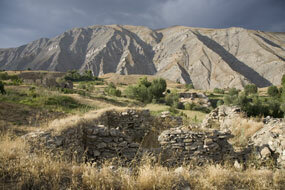 Gulpashan is one of the most important and prosperous Assyrian villages in the Urmia plain. Paul Shimmon, an Assyrian who has returned to his homeland after his studies in the USA, describes what has happened in Gulpashan. The sister village of Gogtapa has already been plundered and burnt by Muslim mobs, while Gulpashan is at first left in peace. Shimmon mentions that this is probably due to the fact that one of the Assyrian village masters is related to the German consular agent in Urmia. The latter has sent his servant to Gulpashan and Turkish soldiers guard the place. End February 1915 a band of fanatic Persian Muslims invades the village. They pretend to have come in peace, but then they seize the Assyrian men of Gulpashan, tie them up and drag them to the cemetery. The victims are barbarously butchered and finally the bloodthirsty intruders turn to the village women. 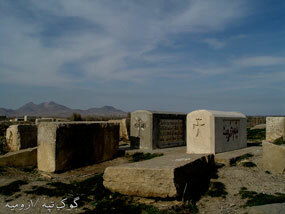 After the massacre at Gulpashan American missionaries come from Urmia town to the village to bury the dead. Shimmon concludes: ‘The awful deeds that were perpetrated here were telegraphed to America, whereupon such strong representations were made by the United States Government that an order was given for their cessation.’ Although the Russian army pushes back the Turkish enemy and reoccupies the Urmia region in the early spring of 1915, later events will prove that Shimmon has been too optimistic. Soldiers are recruited among Mar Shimun’s mountaineers, they are trained by Russian officers and in the autumn of 1916 two Assyrian battalions are ready for battle. Russian protection however won’t last much longer. The Tsarist Empire is about to collapse in the turmoil of the revolution of 1917. Grigori Semenov is a Russian officer of mixed blood. His father was a Siberian Cossack, his mother belonged to the Buryat people living on the steppe east of Lake Baikal, and this distant Transbaikal area is Grigori Semenov’s homeland. When the Fist World War rages at its peak, he serves on the Galician Front that runs through western Ukraine and he distinguishes himself in battle against the Austrian-German enemy. From that period dates his long lasting friendship with a colleague officer, Baron Roman von Ungern-Sternberg. Semenov and Ungern are reactionary officers, devoted to Russian imperial autocracy and fanatically opposed to all kinds of democratic changes. In other words: the Tsar rules; without his supreme authority chaos is inevitable and Russia will fall apart. It is needless to say that the Russian Revolution of 1917 causes the final and fatal breaking-point in their careers. Towards the end of 1916 Semenov and Ungern request to be posted on the Persian Front. The transfer is granted and in January 1917 they are stationed together in the Urmia region. Semenov joins the Transbaikal Cossacks, the fierce warriors of his Siberian homeland who already serve in that Russian occupied part of Persia, and he becomes the commander of a sotnia or cavalry squadron of the Third Verchne-Udinsk Regiment. 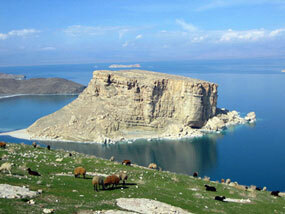 That unit has its cantonment ‘in a village close to the shore of Lake Urmia’, as Semenov puts it. 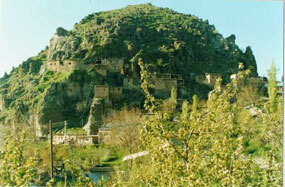 It is Gulpashan, the Assyrian village where about a year before his arrival Persian Muslims have slaughtered a lot of Christian villagers. Bloodshed and massacre – Semenov and Ungern are surrounded by their natural elements. The February Revolution breaks out in Petrograd (Saint Petersburg) and the last Russian emperor, Tsar Nicholas II, abdicates. The Provisional Revolutionary Government issues Army Order 1, which orders the formation of elected soldiers committees. 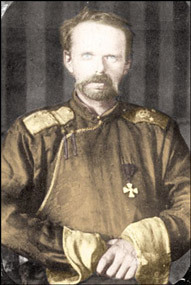 The garrison of Transbaikal Cossacks at Gulpashan elects Semenov as their representative and he leaves for Urmia town where the committee of the Russian Caucasian Army Corps meets. One of the representatives proposes to increase the soldiers’ pay at the expense of the officers’ salary. Such stupid nonsense, Semenov sneers, the revolt of the unleashed rank and file. It gets even worse when Semenov notices that the commander of the Russian army corps in Urmia takes an active part in the public celebration of the revolution. Semenov and Ungern decide to counter the events with drastic counterrevolutionary action. April 1917 permission is obtained from the local Russian army staff to start recruiting new volunteers among the Assyrians in the Urmia region. They will be trained under the personal command of ‘the exceptionally brave officer Baron RF Ungern-Sternberg’, as Semenov characterizes his companion. The Assyrian volunteers, mainly tribal warriors from the Hakkari mountains, know how to fight, but due to the revolutionary upheaval among the Russian soldiers the efforts of the Assyrian fighters fail to restore military discipline. The Russians are fed up with the war. Domoj! they shout, they want to go home. 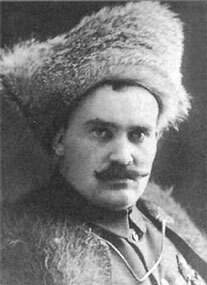 Apparently with the support of Semenov Ungern has trained a tough Assyrian militia, fit for guerrilla fighting and eager to annihilate the enemy. No mercy, raid and kill – it is the kind of warfare Semenov and Ungern will put into practice during the civil war in eastern Siberia. Is it far-fetched to presume that the uncompromising behaviour of the Assyrian warriors has inspired them to some extent? Well trained and highly motivated by feelings of revenge, Assyrian militias under the command of Mar Shimun’s brother David and General Agha Petros cross the Persian-Turkish border in the summer of 1917 and march against the Kurdish chieftain Soto at Oramar. Among the Russian Cossack officers who accompany this punitive expedition are neither Semenov nor Ungern. In those days they have already left the Urmia region. What follows is sad history. In Russia the Bolsheviks have seized power after the October Revolution of 1917 and in January 1918 the Russians hastily retreat from Urmia. Once again the Assyrians are abandoned and left at the mercy of their enemies. Patriarch Mar Shimun is murdered close to Salmas, during negotiations with the treacherous Kurdish chieftain Simko. Assyrian militias crush a rebellion of Persian bands in Urmia and occupy the town, while Turkish troops are closing in on them. Harsh fighting devastates the region. Agha Petros holds out with his mounted fighters at first, but in plain summer Turkish armed forces break through and invade Urmia. The Assyrians have just one option left – a general exodus. The whole Assyrian nation, men, women and children, flee in a desperate attempt to reach the advance guard of a British expeditionary force that is approaching from the south. After the Russian retreat the British have promised to support the Assyrians, but promises is once more the only thing the Assyrians get. They are constantly under attack, there is no food, no shelter, and thousands of Assyrians perish during that awful march of a whole month through the Kurdish mountains of Persia. Those who make it are assembled by the British and taken to a refugee camp north of Baghdad. That summer of 1918 marks the end of the Assyrian nation in the Urmia region. It is also a turning point in the life of Semenov and Ungern, but for them it means the start of their most notorious exploits. End 1917 Semenov and Ungern prepare their next move in Manchuli, a gloomy garrison town in eastern Siberia at the Russian-Chinese border. According to them Russia will perish without the Tsar, whose autocratic regime must be restored at all costs. Semenov has been in Petrograd in the summer of 1917, a few months before the Bolshevik October Revolution. He has seen the Petrograd Soviet in action and he is absolutely convinced that the Soviet is dominated by deserters and German agents like Lenin and Trotsky. It is time to stop them. The first weeks of 1918 Semenov and Ungern advance from their Manchurian base in northern China with a small force of Buryat cavalry and Russian officers. They engage in guerrilla fighting against the Red Guards along the Trans-Siberian Railroad. Semenov’s men are pushed back, but in the summer of 1918 anti-Soviet rebellions break out in Siberia. The Bolsheviks are obliged to loosen their grip and Semenov’s Special Manchurian Detachment dashes again into Siberian Russia. 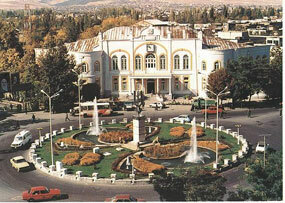 He conquers the major railroad centre Chita and makes this town the capital of his territory. Civil war with Reds fighting against Whites tears the Russian Empire apart. The former tsarist admiral Kolchak is in full control of the White Siberian government established in Omsk, west of Lake Baikal. The Siberian Far East is set ablaze. Japan has sent a contingent of troops, while an American expeditionary force is about to disembark in Vladivostok. In Transbaikalia, east of Lake Baikal, Semenov pulls the strings with money and weapons he gets from the Japanese. He is promoted ataman, supreme leader, of the Transbaikal Cossacks and that period in Transbaikalia is called the Atamansjtsjina, which means the Ataman’s Reign of Terror. His armoured trains terrorize the area and other trains get the even worse reputation of death trains. They transport Bolshevik prisoners of war to their doom. The Red captives are executed along the way or starved to death and when such a train stops at last on a side track near a station the stench of the corpses in the closed wagons is almost unbearable. Ataman Semonov drinks champagne by the bottle and enjoys the company of a whole bunch of mistresses. Then the Bolsheviks strike back. The Red Army has already defeated Kolchak’s White troops and the next offensive is directed against Semenov’s Transbaikalia. End 1920 the Reds march into Chita. Semenov escapes and flees to Vladivostok. He crosses the Pacific and seeks asylum in the United States. His request is rejected, he is called a criminal of war in the American press and he will have to stand trial. Semenov leaves the States and goes to Japan. Finally he settles down in Chinese Manchuria, a puppet state of Japan after 1930, and there he keeps agitating against Soviet Russia as the leader of the White Cossacks. At the end of the Second World War the Soviets invade Manchuria. 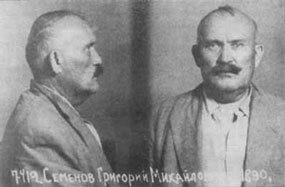 Semenov is arrested, put to trial and sentenced to death by a Soviet court. End of August 1946 he is hanged in a basement. The Bolshevik hangmen prolong his agony and shout at him Repent, reptile! And that is how die-hard Cossack warlord Grigori Semenov meets his end. In the autumn of 1920, when Semenov is about to leave Transbaikalia, Ungern starts his most stunning campaign. He invades Mongolia with a cavalry division of Mongolians, Cossacks and Tibetans, altogether some five thousand troops. The Tibetans have been sent to him by the Thirteenth Dalai Lama, who hopes that Ungern’s army will free Mongolia and Tibet from the Chinese. The first attack of the invaders is driven off, but in February 1921 Ungern’s men storm the Mongolian capital Urga (Ulan-Bator), they massacre the Chinese garrison and sack the city. Ancient times of terror and bloodshed revive in Urga during Ungern’s rule. He adopts the features of a militant Buddhist, as appears from his new colourful outfit. In the eyes of his Mongolian followers he is the God of War, the incarnation of Genghis Khan, and he reveals his ultimate plan – restoring the Great Mongolian Empire through fire and sword. He will advance against Soviet Russia and, as he puts it, create a lane of gallows with the corpses of Bolsheviks and Jews. In the early summer of 1921 Ungern leads his force into Soviet territory. The invaders are crushed by Red Army troops and what is left of Ungern’s ragged mob is scattered in a desperate retreat. Surrender is not an option for the Mad Baron, he urges his men to follow him and strike back from the last stronghold – Tibet. Even extreme madness has its limits, though. The White Russians in his army camp revolt and fire their guns at him. Ungern jumps on his white horse and disappears into the night, looking for his faithful Mongolian outriders. Precisely these men will hand him over to the Red cavalry in pursuit of the invaders. In September 1921 he stands trial in a Soviet court in Novosibirsk. When asked by the Bolshevik prosecutor, a Siberian Jew, if he often beat people to death, Ungern answers: I did, but not enough! He is put before a Red firing squad and executed. Legend has it that Baron von Ungern-Sternberg even in better times more than once declared: Ich war ungern von Sternberg. In English: I have always hated being me. Semenov and Ungern – after the Great War Siberian warlords of the worst kind and in the spring of 1917 Russian Cossack officers training Assyrian militias in the Persian Urmia region. The Russian writer Viktor Shklovsky liked the Assyrians, he called them a fantastic people. This may be true, but they have all too often picked the wrong allies. Or maybe these dubious allies picked them. Wrong place, wrong moment and wrong alliances – it seems to be the fate of the small Assyrian nation in history. More about the dreadful events in the Assyrian village of Gulpashan, Persian Urmia region 1915: read Suria's Page, the story of an eyewitness. With thanks to her son Ron David.